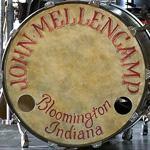 John Mellencamp Community > MELLENCAMP DISCUSSION > No Better Than This Tour Talk > Clearwater, FL > Going To Clearwater? Tell us about it, plan a meet up, tell us what quality tickets you purchased! So in order to buy tickets, if I'm understanding we post here? Cause I want to buy tickets!! I've been waiting, dreaming, hoping & wishing for him to come to Ruth Eckerd Hall for an eternity!! You don't post here to buy tickets, you post here if you have any questions about buying tickets. You need to click the tour page and when the tickets go on sale, there will be a "buy tickets now" link that will take you straight to Ticketmaster's ticket purchase page. It's really easy. Glad that he's coming to your town. Should be a great tour. Thanks!! I was a Cherry Bomb member for years but gave it up after he seemed to NEVER come to Florida! I'm over the moon excited that he's coming here and coming to Ruth Eckerd! Have been waiting for John to return to Florida for several years. A concert in Miami that I had tickets for was unexpectedly cancelled & I am excited for this concert. However I do not see Clearwater listed on the ticketmaster tour. Is this concert location still happening ? Because Ruth Eckard Hall doesn't use Ticketmaster. Thanks for all your help with my recent questions concerning the free download for this concert. I did contact Ruth Eckerd Hall and they replied that they are checking into this. I also contacted MusicToday and they sent a general email advising me to contact TicketMaster, which wasn't correct since these tickets were purchased directly from Ruth Eckerd Hall in Clearwater. I know that you are still checking into this also. So far, I have not heard anything else but will let you know if I do. Thanks again for all you do for us!! I have a message in to the promoter checking on Clearwater. A key person was out at that venue who needed to take care of this. They were supposed to last week but it is possible they didn't get it done. Just got back into town and had told you I would let you know if I had received any information from Ruth Eckerd Hall in Clearwater concerning the code for the MP3 download or any information concerning the VIP package. Still have not heard from anyone. The emails have been sent by AEG Live if you want to seasrch again for it. If you didn't get it send me an email from the email account you ordered tickets with to help@mellencamp.com and I will get them for you. I did receive my codes for the MP3 downloads. Thanks so much for your help!! Hope to meet new Mellenheads before long!! Great, how recently did you get them? Were you one of the people who emailed with me about it last week? I was not one of the ones who emailed you last week about this. I believe I had emailed you back in October concerning this. It did take a few weeks before I received the codes, but I was contacted by email and phone about it. The gentleman I spoke with was David. Excellent glad to hear someone got you squared away. Calling All Mellenheads!! My girlfriend and I are going to be going to the concert in Clearwater and we are wondering if any other JM fans have any plans yet to meet up anywhere before the concert. If so, could you let me know? We found a couple places close to where the concert is if anyone hasn't already made plans to go somewhere else. If anyone is interested, could you just let us know by March 2nd? We will probably put something on FB to see if anyone wants to hook up when it gets closer. Hoping to meet some new Mellen buds! !